Friday night was a celebration of sorts. 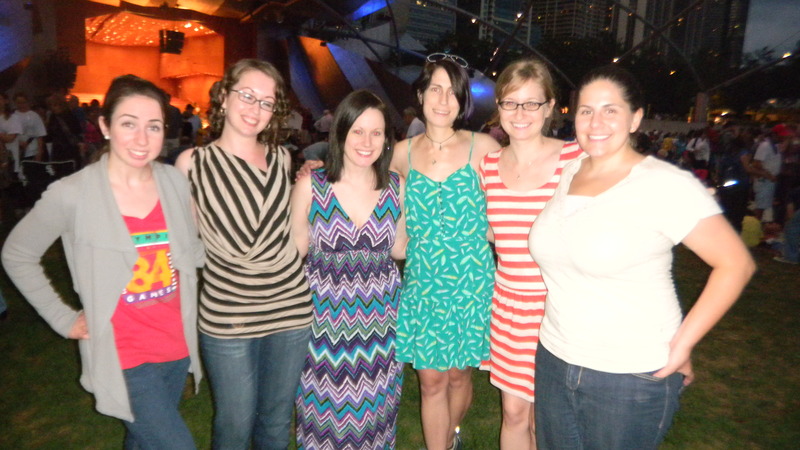 My friend, Lauren, celebrated a birthday during the week, and we all gathered at a Music in the Park in Millenium Park for a low key party. I knew the dessert I brought would have to be a chocolate one, since the birthday girl and many of the other attendees are big chocolate fans, so I tried to figure something out that was new and different. 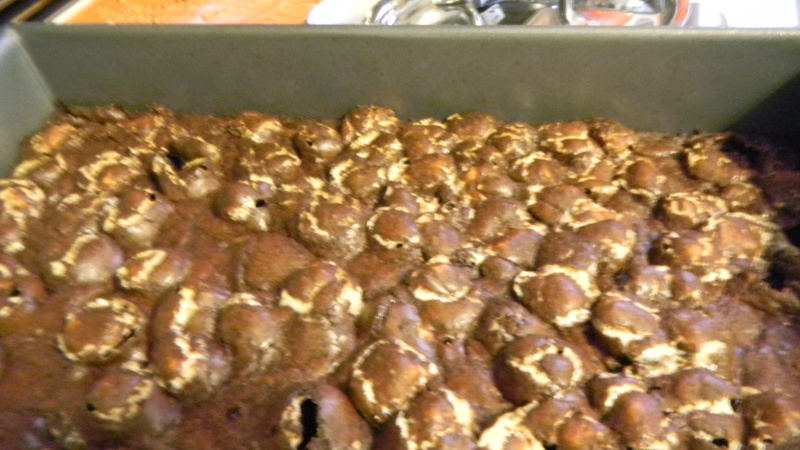 I ended up making rocky road brownies. I can’t eat enough ice cream in the summer, and if there was an easy way (like not having ot take a huge cooler on the el) to bring ice cream to the concert, I would have. 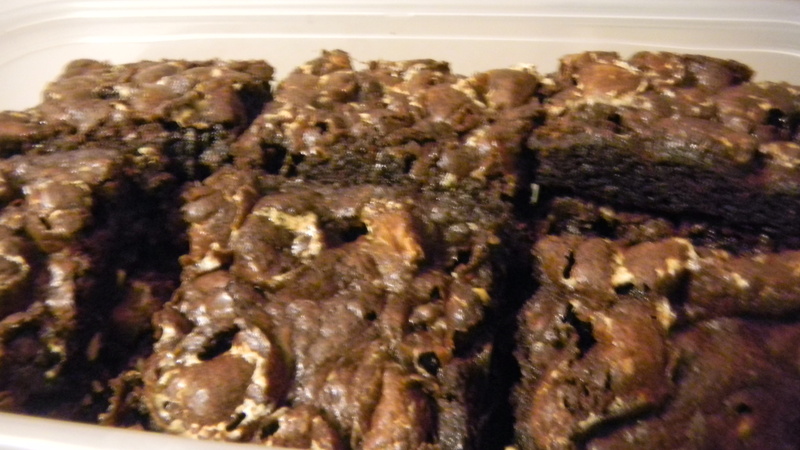 Instead, I decided to try to replicate the flavor in brownie form. I was successful. Just add those 3 extra ingredients to your batter, mix until combined, and bake the brownies at 350 in a 9×13 inch greased pan for about 28-30 minutes. That’s it. 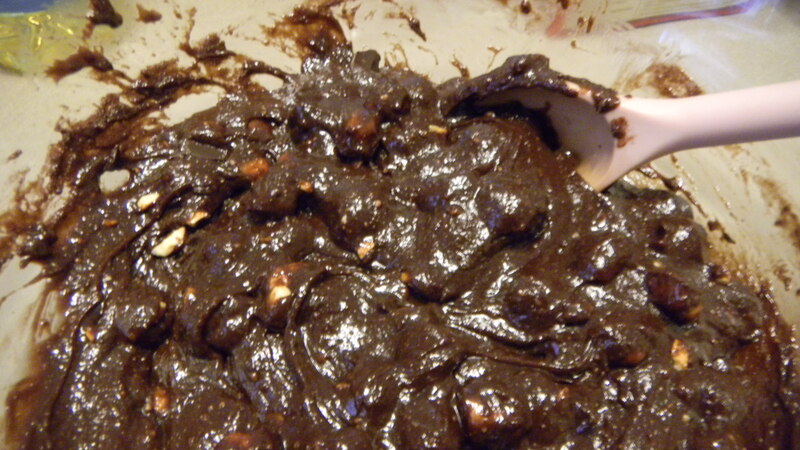 In a pinch, go ahead and use a brownie mix and doctor it up with the peanuts, chocolate, and marshmallows. This is a great recipe to make brownies from a box taste homemade.